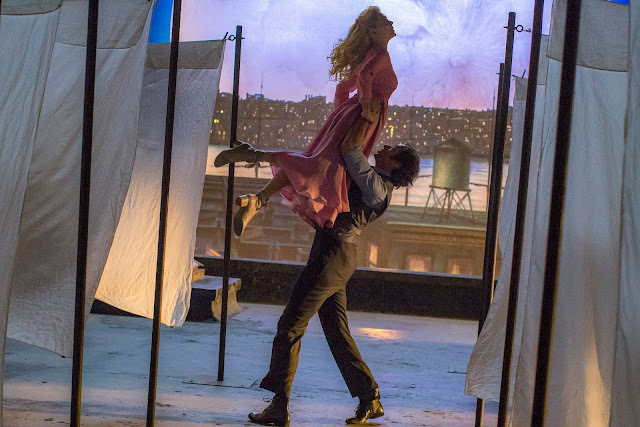 What the "The Greatest Showman" lacks in its feel-good storyline and the underwhelming take on its larger-than-life protagonist, the film heavily makes it up with wonderful, upbeat songs and even more astounding choreography and visuals. "The Greatest Showman" should at least dazzle, entertain and inspire audiences along the way. P.T. Barnum (Hugh Jackman) as a child always dreamed of becoming someone larger than life. Inspired to make his way out of poverty and win the woman of his dreams, Charity (Michelle Williams), Barnum works hard and yet finds middling success. After being laid off from his job, Barnum risks it all when he decides to take out a loan and open up his own oddities museum. At first, the museum struggles to catch peoples' attention but when Barnum decides to shift to featuring actual odd people of all shapes and sizes, the crowd goes wild. Finally reaching his dreams, when will Barnum know when to stop? 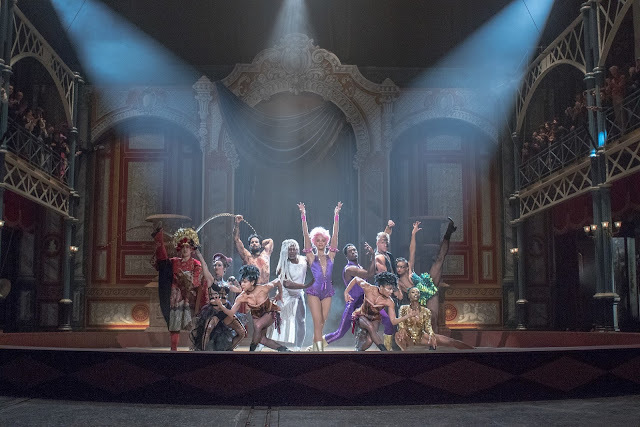 If you remove all the glitz and glamour "The Greatest Showman" had, the film had huge flaws in terms of its storyline and take on P.T. Barnum. The biggest grievance we have would be the obvious and heavy-handed spin on the man's life. This is a feel-good film and this meant that the characters were designed to be outwardly positive and joyful even in the toughest moments of the film. In fact, the film avoids conflict as much as possible by either shifting into song and dance or just outright forgetting about huge dillemas on the next scene. A great example of this would be Barnum's indirect abandonment of his so-called "freaks" odd with the arrival of Jenny Lind. The scene should have brought in a huge weight in terms of drama and conflict but it fails to capitalize on it. It just shifted to our favorite song "This is Me" and the conflict is gone soon after that. While this may sound huge, it actually isn't that much of a big deal as the cast performances greatly outweigh the film's shortcomings. More than the songs, which were all great to begin with, we were impressed by the choreography and the visuals. Setpieces were creative and imaginative featuring various scenes of the period that looked authentic to say the least. The choreography was fast and kinetic. Characters not only danced but they ran and played across sets like we have never seen anywhere before. The camera work also takes high-marks as it was able to keep up and make these performances feel fresh and in-your-face. 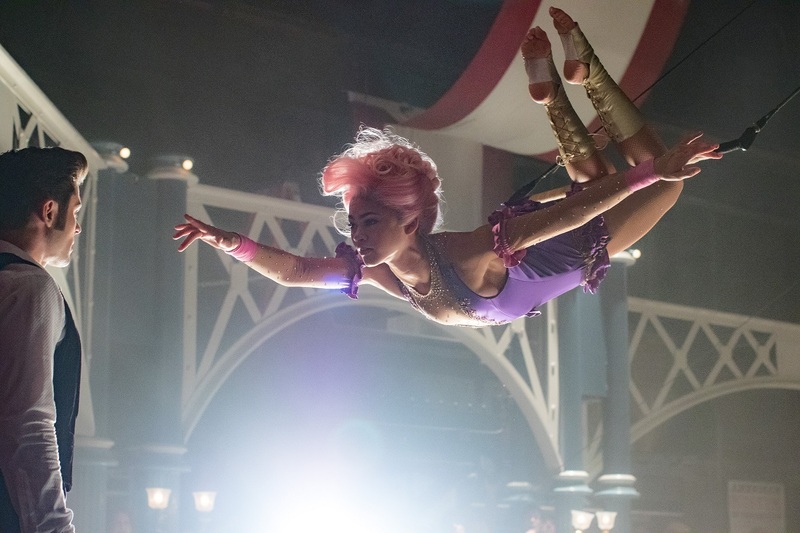 Overall, "The Greatest Showman" may be messy but with its awesome performances, you'd be hard-pressed to even be annoyed by its lackluster and sanitized story.